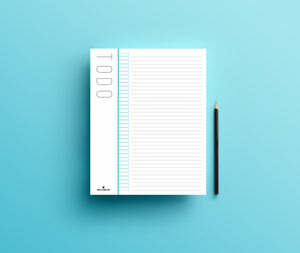 A dedicated pad for all your todo's - FINALLY! This todo list jotter is perfect for those of us who like to write a todo list every day. If it's not down on your list, it's not getting done! Devote a page to each meeting, or a new day and you've got your todo list! Black white and a hint of neon on every page.